Angelo Rossitto var en skådespelare. Han föddes i Omaha den 18 februari 1908. Angelo Rossitto dog 21 september 1991, han blev 83 år. Han är känd för bland annat Mad Max bortom Thunderdome (1985), The Wonderful World of the Brothers Grimm (1962), Dracula vs. Frankenstein (1971), Invasion of the Saucer-Men (1957) och Brain of Blood (1971). Huvudbild: Angelo Rossitto. Foto via The Movie Database. Född 1908-02-18 (111 år sedan) i Omaha. Död 1991-09-21 (83 år). Vad du tycker om Angelo Rossitto? Starta en diskussion om Angelo Rossitto med dina vänner på Facebook eller Twitter! Angelo Salvatore Rossitto was an American actor. He had dwarfism and was 2'11" tall, and was often billed as Little Angie or Moe. Angelo appeared firstly in silent films opposite Lon Chaney and John Barrymore. On screen he portrayed everything from dwarfs, midgets, gnomes and pygmies as well as monsters, villains and aliens. Rossitto was discovered by John Barrymore and made his screen debut opposite Barrymore in The Beloved Rogue. 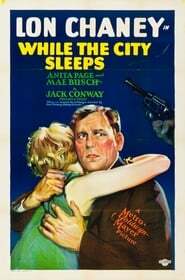 That same year he appeared in Warner Brother's Old San Francisco which starred Barrymore's soon to be wife Dolores Costello. He appeared in the then controversial 1932 film Freaks directed by Tod Browning. 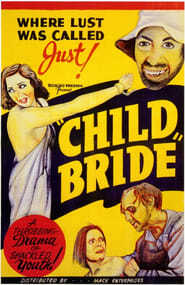 He appeared in another controversial film, 1938's Child Bride. During the 1940s, he appeared in several poverty row movies starring Bela Lugosi. He appeared frequently in television series and mini-series, particularly best known for the police drama Baretta. His last major role was as "Master" opposite Mel Gibson in Mad Max Beyond Thunderdome. Rossito appeared alongside singer/songwriter Tom Waits and Lee Kolima on the cover art of Waits' 1983 album Swordfishtrombones, which paid homage to his performance in Freaks.